A lobbying effort to remove Supreme Court Justice Brett Kavanaugh from a summer teaching job at George Mason University is being backed by a former top aide to Hillary Clinton’s presidential campaign. 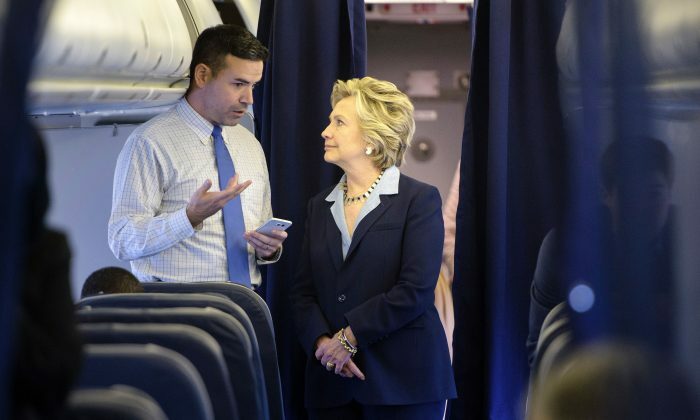 Brian Fallon, Clinton’s 2016 campaign press secretary, is leading a liberal advocacy group dubbed Demand Justice “that aims to influence the political leanings of America’s courts” by opposing conservative nominees. According to his LinkedIn account, Fallon is the executive director of the group. Demand Justice is running an advertising campaign on Facebook to target students at the university in order to pressure the school to reverse their recent decision to have Kavanaugh teach a course this summer. “Demand Justice will run digital ads on Facebook targeted specifically at people with a connection to the Virginia university,” a report on their website stated. The petition also calls for, among other demands, a “formal apology” from the administration, a public release of all documents relating to the hiring, and to hold a town hall to discuss Kavanaugh’s hiring and the implications for students. Demand Justice is a project of advocacy organization group “Sixteen Thirty Fund” that uses its funds to provide grants to progressive organizations, according to Influence Watch. 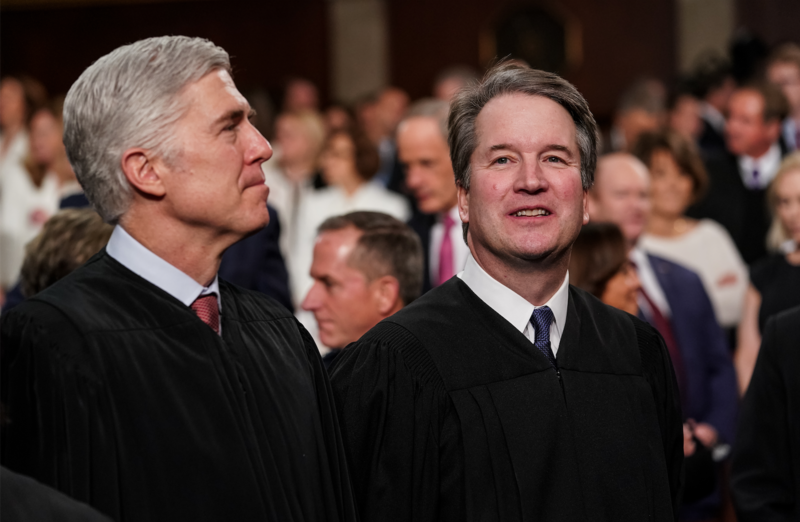 The practice of giving such grants is known as “dark money.” The group acts mainly through media campaigns that are either against or for a judicial nominee. Demand Justice, created in early 2018, shares the same building with New Venture Fund, “a prominent left-wing incubation group,” and an affiliate of Sixteen Thirty Fund, according to Influence Watch. In response to the reports surrounding Kavanaugh’s hiring, the president of George Mason University said in a statement that he wouldn’t remove Kavanaugh from his summer teaching job. 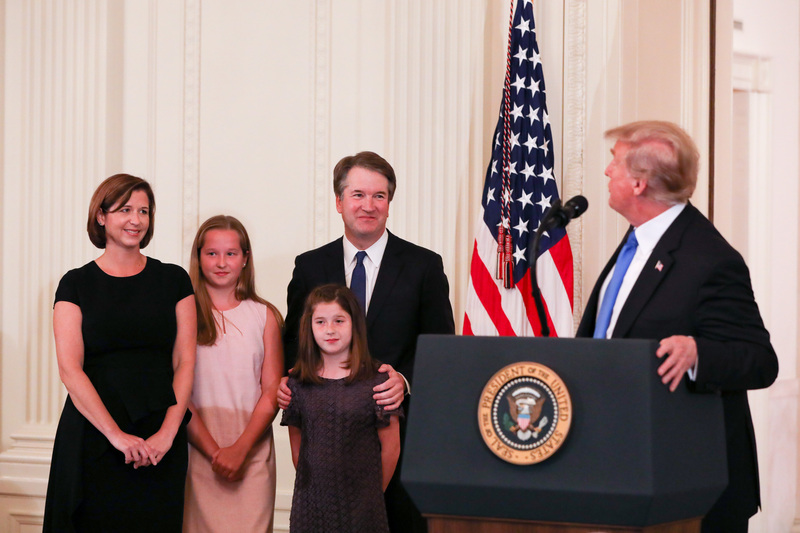 “I respect the views of people who disagreed with Justice Kavanaugh’s Senate confirmation due to questions raised about his sexual conduct in high school. But he was confirmed and is now a sitting Justice,” President Ángel Cabrera said in a statement. In one of its video campaigns, Demand Justice accused Neomi Rao, Trump’s nominee to take Justice Brett Kavanaugh’s previous position, of being a “hard right, conservative ideologue” and said she had no business to take the position on the U.S. Court of Appeals for the District of Columbia Circuit. The video was posted Feb. 27 on the group’s Twitter account. Rao was sworn in on March 18.